Nowadays, we are using different oils for different purposes. My grandma always told me that oils are natural remedies for every problem of skin and hair. These carrier oils (coconut oil, olive oil, and almond oil) are suitable for hair growth, hair dryness, skin pigmentation and many more things related to our body. But adding essential oils to these carrier oils can provide you with more benefits. Now the question is what are essential oils? Is there any difference between carrier oils and essential oils. Yes, there is a difference between the two of them. Both oils are created using scents of various plants but essential oils are highly concentrated than carrier oils and so powerful that they never be applied directly to skin and hair but rather diluted in a carrier oil. They have been used for thousands of years in various cultures for medicinal and health properties. Different types of essential oils used for different purposes. But, here we are discussing five most important essentials oils which you can use in your daily life. with your carrier oil. It can be used as a toner, moisturizer, and sunscreen. It is a popular choice for treating acne because of its anti-inflammatory and antimicrobial properties. A popular oil that stimulates hair growth and improves circulation. It prevents hair follicles from being starved of blood supply, dying off and leading to hair loss. Beyond this, Rosemary essential oil is used to prevent greying and dandruff. It may also help in the dry or itchy scalp. tightens the skin, preventing wrinkles, removes excess oils that clog pores and cause blackheads. It adds pleasant taste and aromas to foods. Adding a few drops of this oil to water can help reduce heartburn, acid indigestion and it can help cleanse the liver and kidneys. It can be used as insect repellent. 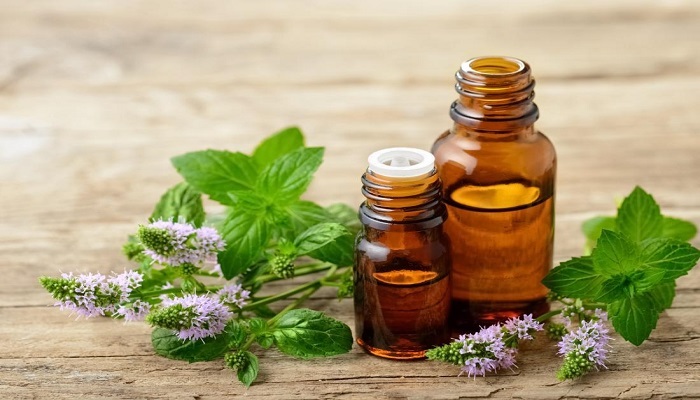 If you find yourself in an area with lots of mosquitoes and tiny invasive insects like ants, use a mixture of lemon essential oil and peppermint oil. Some people use this oil as part of their beauty and hair care regiment. Its fragrance is pleasant and popularly found in shampoos, skin creams and other products. It can be used as a remedy for hair loss. You can add 5 drops of this oil to your bottle of shampoo or conditioner. balancing – physically and emotionally. Rub a drop of this oil on your palms and smooth on your pillow to help you sleep. You can use this oil to stop bleeding, clean wound and kills bacteria. Add several drops of lavender oil to your carrier oil to help eliminate dandruff. Inhaling the oil can relieve the feeling of nausea or morning sickness in pregnancy. What you should do before using these oils? 1. Avoid getting essential in your eyes and avoid using on infants and children as well. 2. Always dilute oils with a carrier oil to help protect your skin and hair as they can cause a burning sensation. 3. You must be sure that you are purchasing good quality and pure essential oil. You must buy from original brands like aroma magic, good vibes, and nykaa.